Accusculpt laser liposuction is a technique to melt fat using an accusculpt laserat a 1444 nm wavelength optimized for fat decomposition. The melted fat is excellent in its fat decomposition effect so that fat can be suctioned. It passed USA FDA and European CE, and clinical trials have been conducted both in the USA and Korea. It got excellent results and has been evaluated differently from existing lasers, high frequency, and ultrasonic devices using 1064nm and 1320nm. It is used as a facial lifting technique to make the contours of the face more resilient and clear. 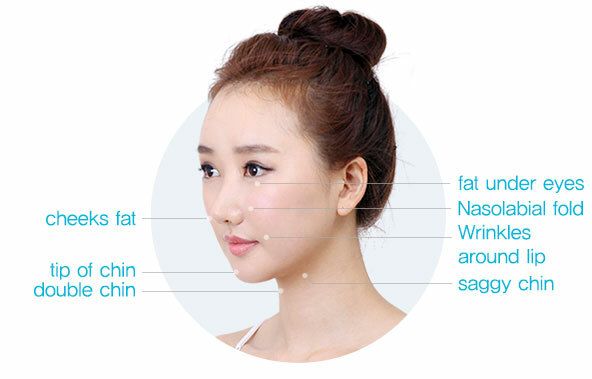 Safe forfaces with excess fat such as chubby cheeks, chubby cheek bone areas, chin lines, and double jaws. It is also called ‘face acculift’. 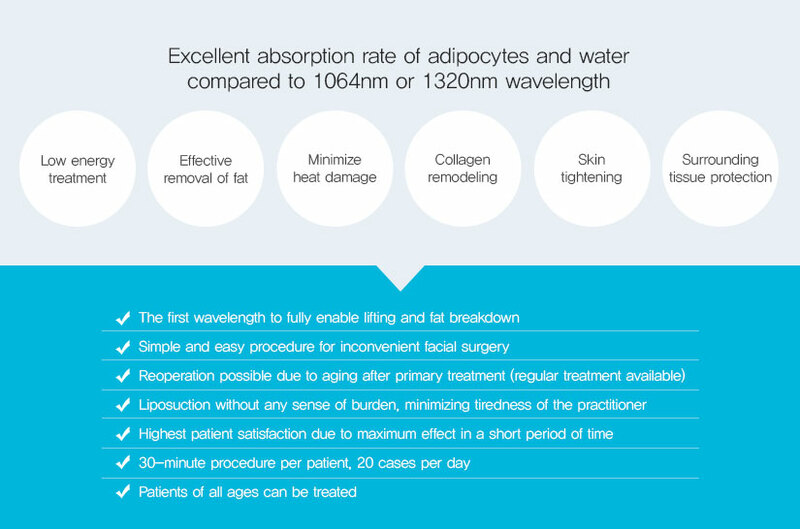 What is accusculpt 1444nm wavelength ? 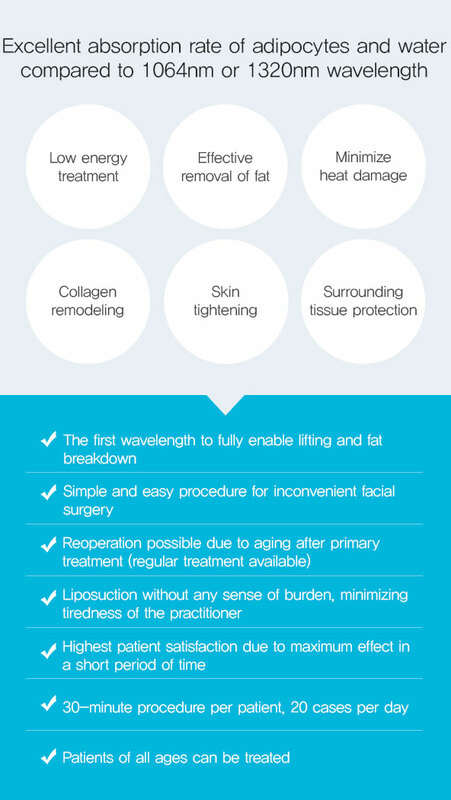 At the time of the treatment, the dermal layer of the skin is stimulatedinducing collagen production, which gives a tightening effect. Accusculpt laser liposuction is a technique to melt fat using an accusculpt laserat a 1444 nm wavelength optimized for fat decomposition. The melted fat is excellent in its fat decomposition effect so that fat can be suctioned. It passed USA FDA and European CE, and clinical trials have been conducted both in the USA and Korea. It got excellent results and has been evaluated differently from existing lasers, high frequency, and ultrasonic devices using 1064nm and 1320nm. 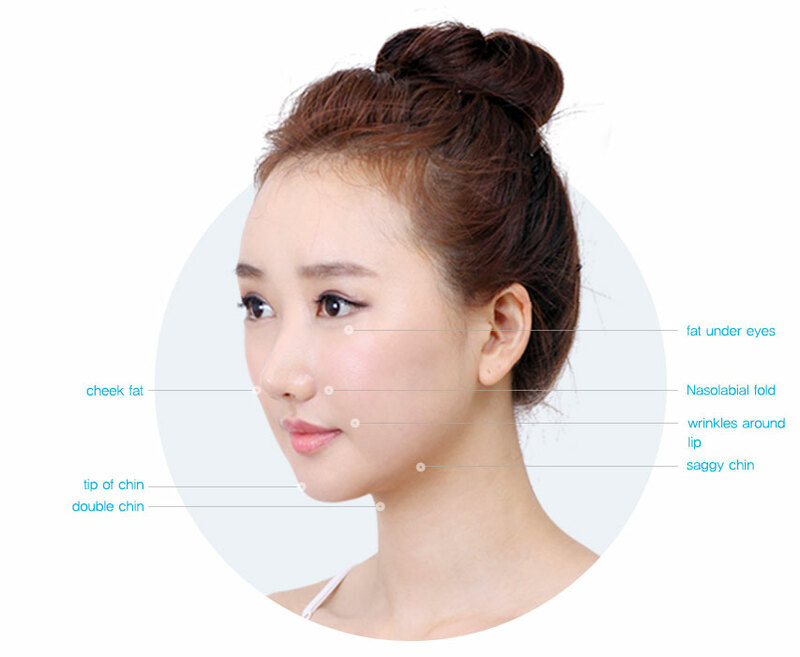 It is used as a facial lifting technique to make the contours of the face more resilient and clear Safe forfaces with excess fat such as chubby cheeks, chubby cheek bone areas, chin lines, and double jaws. It is also called ‘face acculift’. At the time of the treatment, the dermal layer of the skin is stimulated inducing collagen production, which gives a tightening effect.